Bitcoin unprecedented rise is unarguably the biggest economic highs in recent history. From a shaky $600/BTC in late 2016, it now trades at above $8000/BTC and still raising with a bullish parabolic envelop trendline. While Analysts are predicting a change in trend based on previous economic models, bitcoin could see prices in the mid to upper $8,000s before any noticeable resistance stands in the way of the price growth. However, this does not mean that there have not been gallops along the way. One of these bumps was the purported introduction of SegWit2x nodes which were programmed to fork away from the Bitcoin blockchain to create the SegWit2x blockchain and a new currency, often referred to as B2X. The SegWit2x project, a brainchild of a long list of companies and miners in May, had scheduled a hard fork to double Bitcoin’s block weight limit on Nov 17, 2017. And while the controversial effort was later suspended by leaders of the project some companies like Coinbase are indeed taking into account that the SegWit2x hard fork could still happen. Alternatively, SegWit2x could see a bit of a rebirth in the form of “BitcoinX” (BTX). This project, supposedly started by disappointed SegWit2x supporters, will take a snapshot of bitcoin balances at block height 494,783 and start a SegWit2x-like altcoin that offers all BTC holders the equivalent amount in BTX. Bitcoin, created by Satoshi Nakamoto in 2009 continues to hold on to its advantages as a virtual currency offering anonymity to users for a zero charge transactions outside the reach of governments. 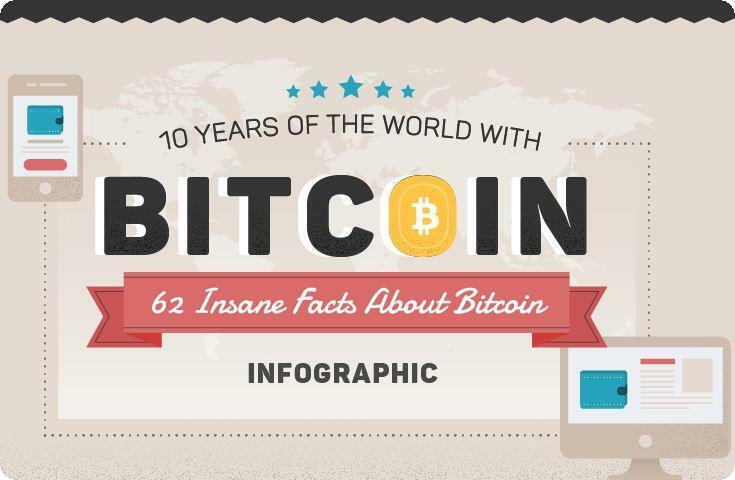 Take a look at this infographic, created by the team behind BitcoinPlay, that illustrates in details some interesting facts about this incredibly popular virtual currency.